Zephyrus, the winged god of the west-wind, embraces the youth Hyacinthus. 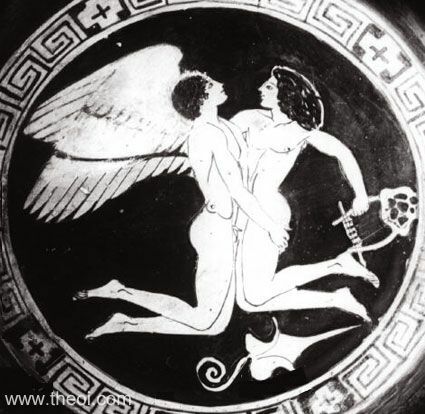 Alternatively, the figures could be an allegorical depiction of Love (Eros) seizing the beauty of youth. The young man carries a tortoise-shell lyre.